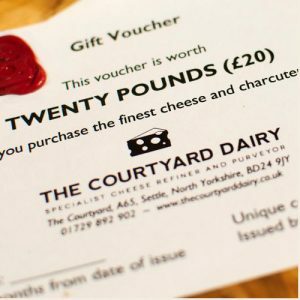 Quarterly Cheese Club Delivery – The Courtyard Dairy. 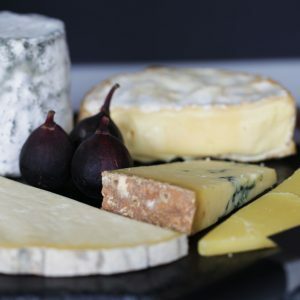 The finest cheeses delivered every quarter. 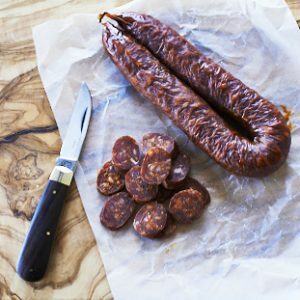 The Courtyard Dairy’s cheesemongers select the best and most interesting cheeses in season and deliver them direct to your door. 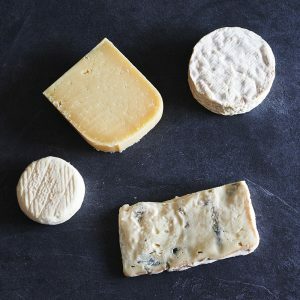 Each month’s cheese club selection includes a selection of cheeses plus a packet of crackers and a detailed article on the cheese producers, as well as a topical information feature on cheese. 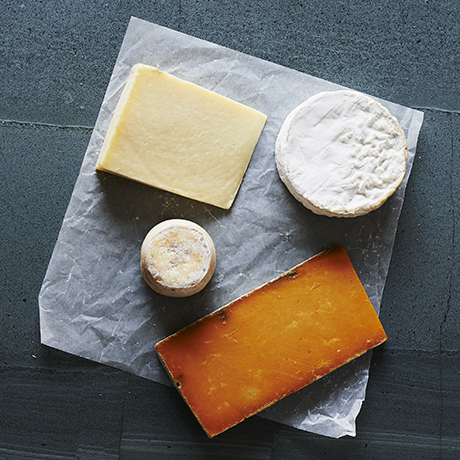 Choose from the 3-cheese or 5-cheese per month selection. 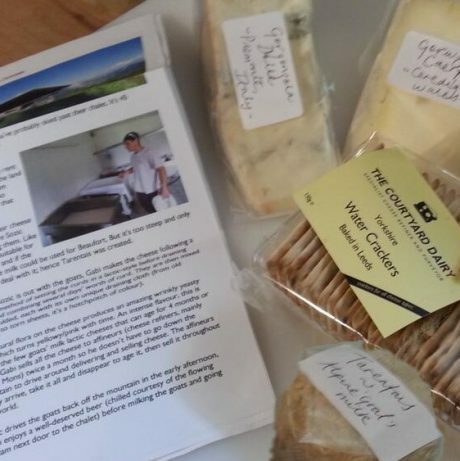 Tunworth Camembert, Dale End Cheddar, and Killeen Goats’ Gouda. 700g minimum weight of cheese per month.